ljcfyi: King Tut. Not so much. King Tut. Not so much. 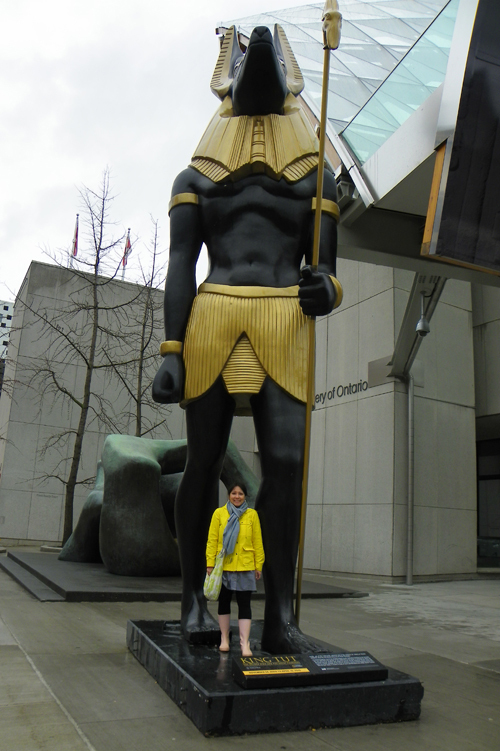 Last month we saw billboards around Rochester advertising a King Tut exhibit at the Art Gallery of Ontario. Aaron got us tickets for Valentines Day but because of snow we couldn't go until this weekend. 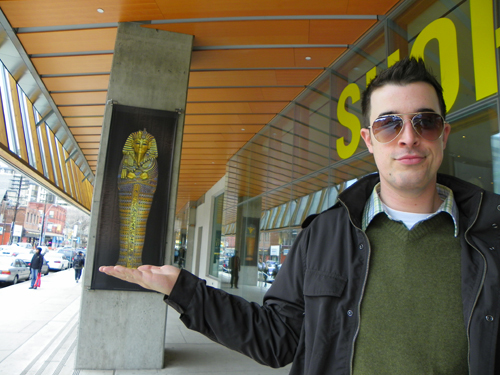 Despite taglines like "King Tut returns to the Art Gallery of Ontario!" King Tut was nowhere to be found. There was lot's of King Tut's stuff, items from the outer chambers of Tut's tomb, like King Tut's bed, King Tut's sandals and statues of King Tut. There were also statues of other pharohs and even an ancient Egyptian toilet seat (no joking) but no King Tut. No Tut mask, no Tut coffin and no Tut mummy. We heard other couples asking where King Tut was and heard that King Tut is permanently on display in Cairo. I totally understand that, in fact I probably should have realized it, but it really sounded like he would be there and I'm kind of surprised it wasn't more clear and we were pretty disappointed. The exhibit was interesting, I just wish I would have had different expectations. King Tut bummer. Anyway, I hope it was an enjoyable trip! Museums are fun, regardless if you ask me (but I am a giant nerd). It seems strange that they can advertise that way.